May 25 is National Missing Children's Day in the USA and it falls on the same date as International Missing Children's Day. The day was proclaimed by President Ronald Reagan and it's been celebrated annually since 1983. 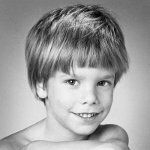 Etan Patz, 6-year old, disappeared from New York City on May 25, 1979, on his way from bust to school. Missing children cases didn't attract much national media attention, but Etan's case received a lot of coverage. Etan's black-and-white photos were distributed by his father, a professional photographer, in an effort to find him. The massive search and media attention that followed Etan's missing focused the public's attention on the problem of child abduction. Etan's missing incited to the development of movement in support of missing children's search, including working on new search methods, like printing photos on milk carton boxes. Etan became the first child whose photo was printed on milk carton box. Investigation of Etan's case lasted until 2012, but the boy was declared dead in 2001. Pedro Hernandez, the main suspect, is to go to trial.